Alright, before we dive in here, bear in mind that all YouTube Account Settings are attached at the Customer Level. That means if you go in as a Provider and try to set up all your clients YouTube accounts, you'll be attaching ALL of them to your own account, rather than them setting it up individually. If your clients want the published YouTube videos to be attached to their own channels, they will need to login to their Client Panel. 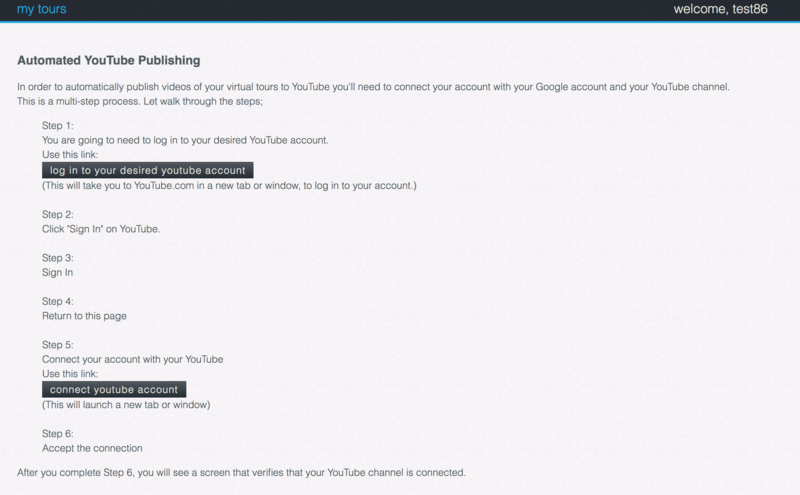 Setting up YouTube Publishing in the Client Panel is very easy. Go to My Account in the upper right-hand corner and then click on YouTube setup. Next, click "log in to your desired youtube account." If they are already logged in to their YouTube account, their YouTube channel will open in a new window. 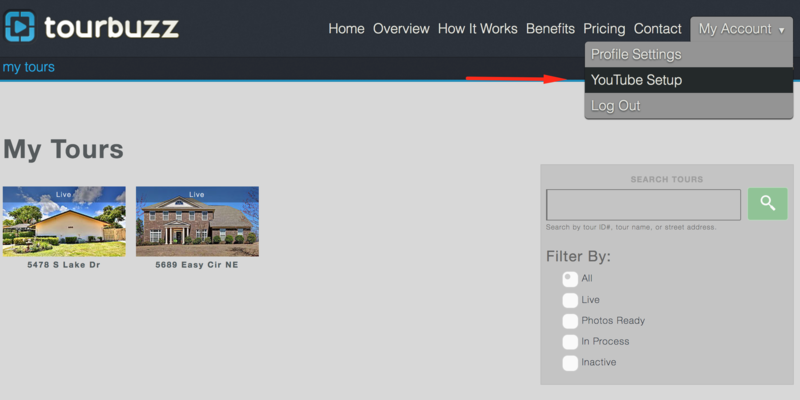 Otherwise, the option to log into their account will open in a new window. Once logged in, return to the Tourbuzz page, and click "connect youtube account." Once completed, their YouTube account is setup, and you will see two green check marks showing a successful connection. From then on, every time you "export a tour as a video" for that customer, it'll automatically be sent to YouTube. Still need help? Watch the video below and feel free to send to your customers.